Generous 69-Acre Hobby Farm With Pond. Expansive Views And Numerous Opportunities! Just South Of Holdingford Boasting 4+ Bedrooms - Open Floor Plan - Upper Level Family Room W/Vaulted Ceiling - Gas Fireplace - Anderson Windows - In Floor Heat - Walk-In Pantry and Outdoor Pool. 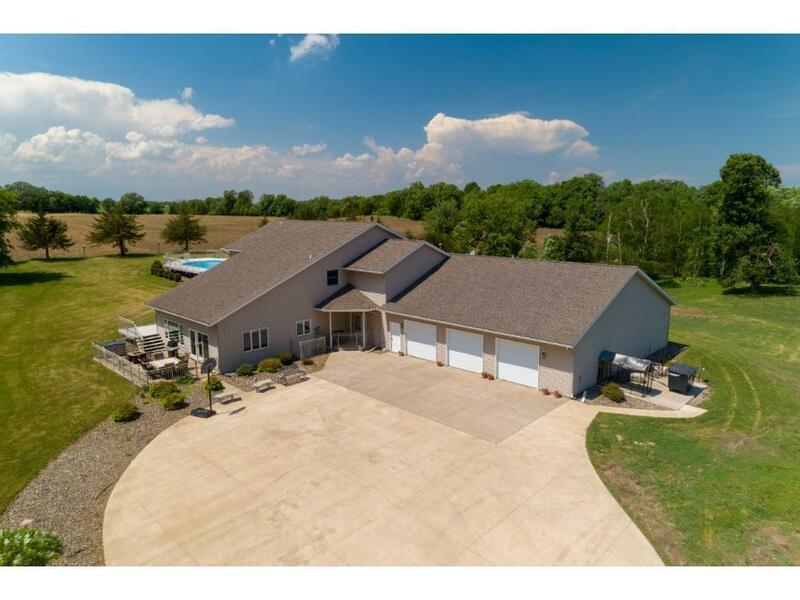 Gated Entrance With Concrete Driveway, Pole Building, Quonset Building, Chicken Coop, And Fenced Pasture. Excellent Hunting And Trails.